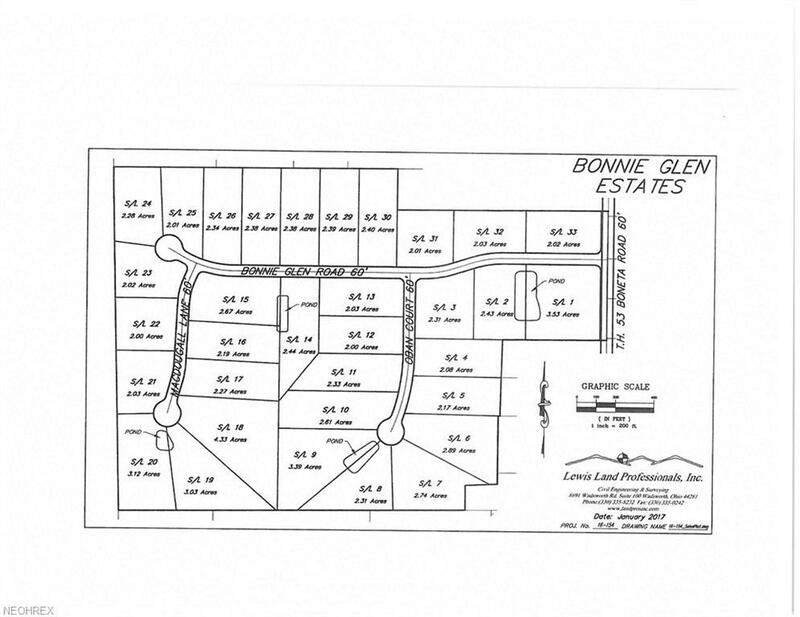 One of the prettiest parcels of land in Bonnie Glen Estates. Lot 14 was developed to offer maximum privacy and serenity while taking full advantage of unparalleled valley and creek views. With plans for a winding driveway to a wooded home setting, this deep 2.44 acre lot is surrounded on 3 sides by mature trees to ensure privacy. This lot must be walked to appreciate its potential. Call today for your personal walking tour and to see additional lots available in Bonnie Glen Estates. Situated in the highly ranked Highland School District, Bonnie Glen Estates is conveniently located on Boneta Rd with quick access to I-71, I-271 and I-77. Close proximity to Akron and Cleveland airports and minutes from shopping and restaurants in Medina and Montrose.